I have sprouts! 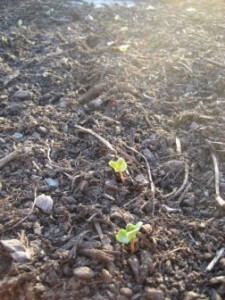 Again, the radishes are the first to make a move. Before I planted this time, I spoke with a farmer at Kits Farmers Market who said my first radishes probably bolted because the sprouts were too close together. If you don’t catch them in time and thin them right away, they get stressed and bolt. This time, I seeded them really far apart. 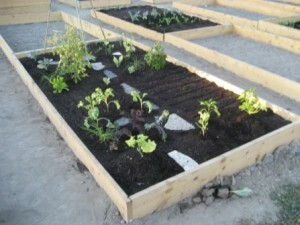 This entry was posted in 16 Oaks Community Garden, Urban Gardening and tagged Kits Farmers Market, radishes on July 24, 2009 by local delicious. 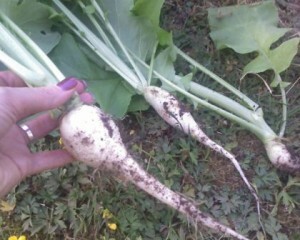 The mutant radishes were a bit of a bust. They sprouted like crazy, then started going to seed, but hadn’t turned any shade of pink let alone red. I pulled one really big round one, but the rest were pretty thin and many had been attacked by worms that left trails (and poo, I think) throughout. Overall, not a great harvest. 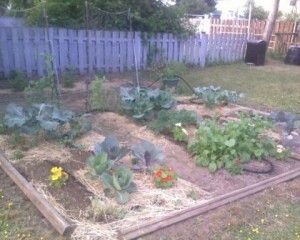 I’ve now pulled out the whole lot and re-seeded. Before I put the seeds in, I added some manure, blended it in with the existing soil and then topped that with some new topsoil. 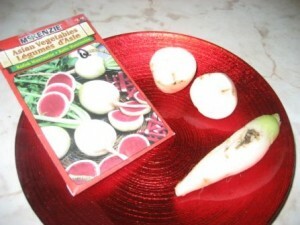 I’m hoping that will encourage the little blighters to grow like the picture on the package this time. Hey, maybe that’s why people sometimes put the seed packet at the end of the row, so the seeds know what they are supposed to look like when they grow up! Not sure what, if anything, I can do about the worms. 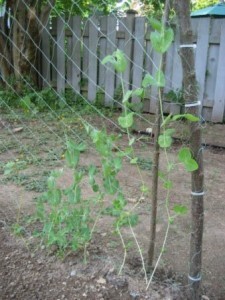 This entry was posted in Bumbling Gardener, Urban Gardening and tagged radishes, worms on June 29, 2009 by local delicious.